Triumvirate provides transportation and disposal of a full range of waste streams, including hazardous and non-hazardous materials, and both large and small volumes of liquids, solids, and sludges. We use a variety of vacuum and tanker trucks to transport your waste to disposal facilities in the most cost-effective and efficient way possible. 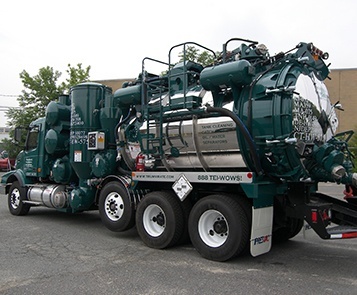 Our vacuum truck services team will handle your project from start to finish, minimizing downtime and making it easy for you to focus on your job. Triumvirate Environmental provides full-scale tank services, including tank cleaning, tank installation and tank removal.